Creating a space for your new baby is super exciting until you see the high price for everything. 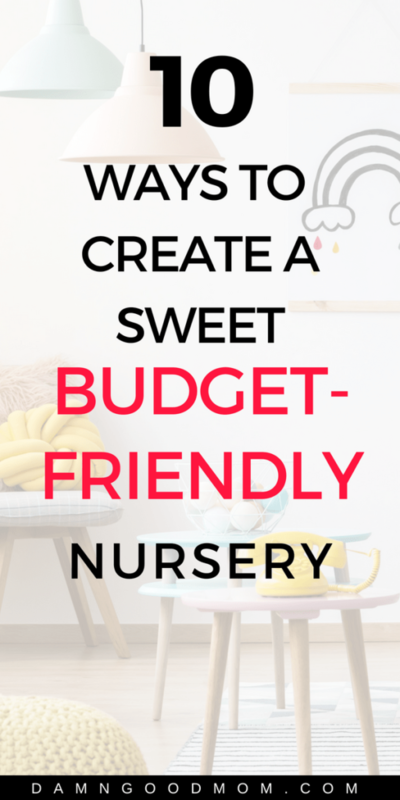 Learn how to create a sweet nursery on a budget. This post contains affiliate links, see my disclosure policy for more information. Soon after I learned I was pregnant, I started rearranging the space in the house in my head. Yep. The office would be the nursery, the guest room would become the media room, and all extra furniture that didn’t fit the plan was headed to the Goodwill. Easy peasy. All that was left was designing and furnishing the nursery. That wasn’t so easy. I mistakenly went to one of those nursery specialty stores, you know the kind that has the matching crib, dresser, changing table, all staged beautifully and got my bubble kindly burst. Those nursery room packages started at $2k and $3k (yikes). My bank account wasn’t set up for those type of prices, especially since my maternity leave was unpaid. I had to figure out how to work it out on a budget, so I got creative, crafty, and savvy. Creative: I turned wood pieces from Michael’s into bookshelves and added a coat of white paint. Voila! Crafty: I hacked two IKEA Rast dressers to make a single dresser. (They were short so I added legs too). Get ideas with a simple Google or Pinterest search of “IKEA Rast Hacks”. Savvy: Our first purchase was a crib that we found for $150 and we built our baby space from there. Piece-by-piece and ended up with a simple room that we loved for less than the price of just the crib of some of those pricey sets. 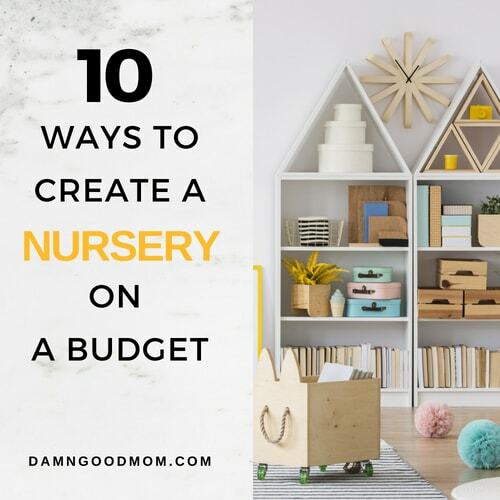 I share all of this to let you know, you don’t need to spend lots of money decorating a nursery. When really the whole house will turn into baby land (just give it a few months). Focus on the necessities and check out tips to create a sweet baby nursery on a budget. Everything baby is cute, adorable and a must-have in the moment. Having a list of the items you want and need for your specific space with hopefully stop you from buying miscellaneous items with no purpose, just for the cuteness factor. Once you’ve created your list, remember to only shop the list, otherwise, you can get swayed by amazing marketing (ask me how I know). If having a paper list is with you is unrealistic, consider using a private registry or the list feature on an app, my favorite free list sharing app is Cozi. My husband and I use it for any list of shared items. Psst. It’s great for groceries lists too! If you have an amazing skill, put it to use to make your baby space unique and special. If you don’t have a creative gene, recruit friends and family or it that all fails, there are pretty wall decals that can make your space look cool and custom. Don’t be afraid to do simple projects yourself. I spent months searching for the perfect dresser and never found anything that fit my budget and my taste. I ended up doing an IKEA hack of two Rast dressers. I still use that dresser today. It’d look cheesy in an adult bedroom but for a kid-friendly nursery, it’s perfect. If you need art for your space, check out this easy and inexpensive way to DIY custom art. 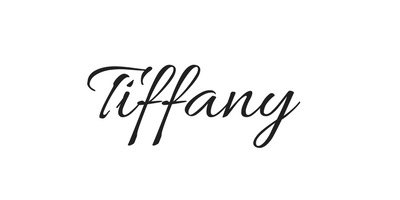 Baby registries are great for letting people know exactly what you want and need. And people are usually pretty generous when it comes to giving for the baby. You could just add everything to the registry and wait to see what you get, or you can be strategic. Add things that can wait until baby arrives, like sheets and blankets. Don’t add items that you want to have ready before your baby arrives. It’s easy to end up with lots of stuff and no place for it all. This can mean a closet full of stuff you forget that you have and end up re-purchasing. Instead, think about how you will organize the space you designated for your baby. If the baby will be in your room, plan for spacing saving furniture and organization bins that allow everything to be visible and easily accessible. Multipurpose items. For example, your dresser (if large enough) can also be a changing table, your seating can also be storage, and your bookshelves can also hold bins and small baby items. Be resourceful. Also remember, items that are too big or small can really make the space look cluttered. 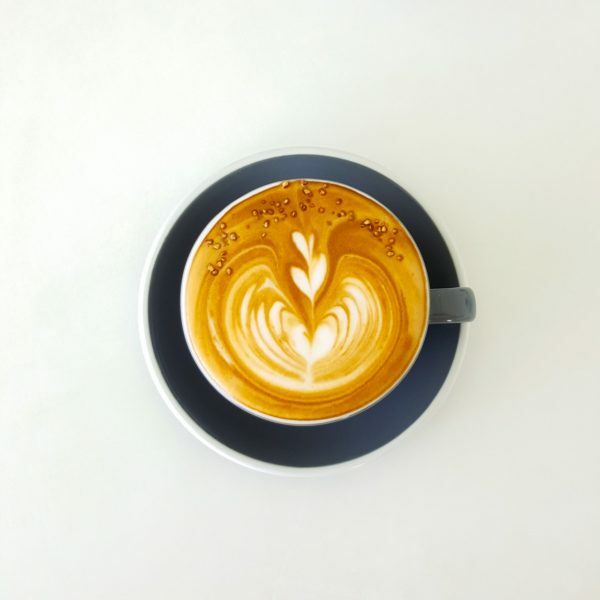 It’s so tempting to buy everything at once, but there are things you don’t need right away and keeping those items around can lead to unnecessary clutter. Save money until you need to spend. For example, I didn’t childproof the house until our baby got mobile, before then it was unnecessary. Now we have gates and locks everywhere. I love shopping online so I use and highly recommend Amazon Prime to all new momma, the free 2-day shipping is everything. Start a free 30-day trial today. Even though I love Amazon, I never want to get in the habit of assuming Amazon has the least expensive price just because shopping with them is extremely easy. They don’t. I know this because we usually price-check several locations before making most purchases. A nursery or baby zone just needs to be a comfortable space where you can nurse or feed, change diapers, store clothing, and small baby items, and relax and bond. Not a lot is needed to accomplish these simple tasks, no matter what that salesperson tells you. Something as simple as a paint job can make the room feel spacious or calming, bins can help with storage and organization, and both are expensive things that make a huge difference. Somethings should never be secondhand, like your car seat (you have to ensure it has never been in an accident) but other furniture and clothing items are perfectly acceptable as secondhand. So, if you have a family member or friend that is just moving out of the baby stage with tons of stuff to give away, don’t be shy. If you are going second hand be sure to still watch out for recalled items and items with toxins like lead. I strongly believe that you can design an awesome nursery without spending tons of money. Just don’t go to the big retailers and try to get one of those room sets, they can be pricey. Take your time and be intentional about each purchase and be comforted knowing your baby doesn’t need very much to be a happy baby. Buying everything baby is a quick way to end up broke. We don’t want that. In fact, there are some purchases you can skip altogether. Check out a list of common baby items you don’t need. While every baby is different, I hope you find it helpful. As first-time parents, we purchased lots of stuff we didn’t need and I want to help you save money for the things that really matter. Follow along on Pinterest for more pregnancy and new mom tips.